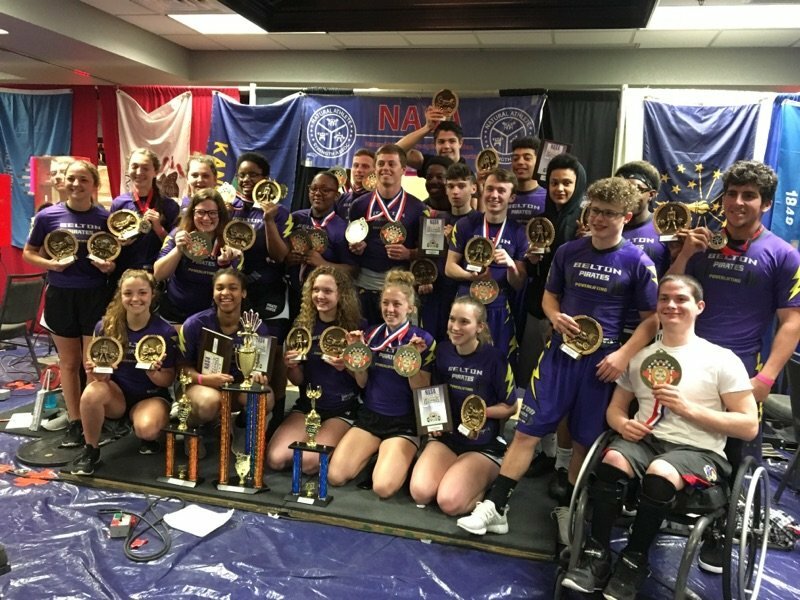 2017 NASA HS MEN's & WOMEN's NATIONAL CHAMPIONS! 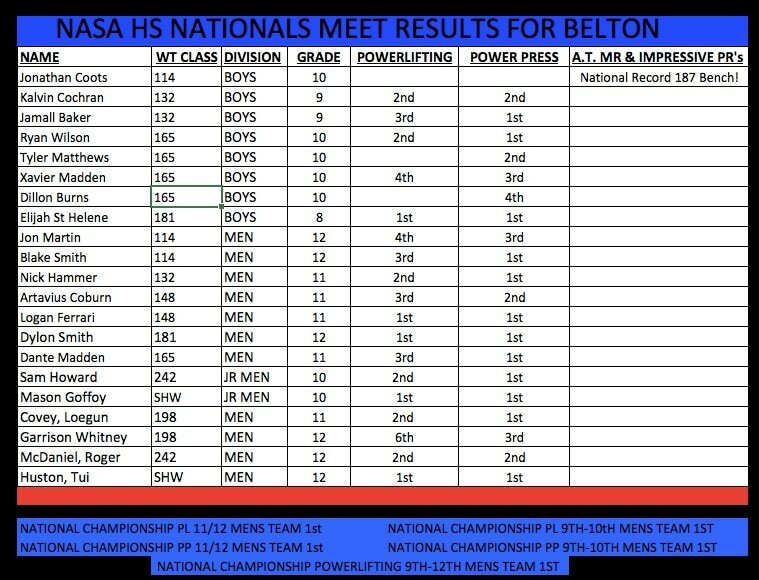 The Belton HS Powerlifting Team wrapped up their meet season in Oklahoma City, OK for NASA HS Nationals the weekend of March 25th & 26th. 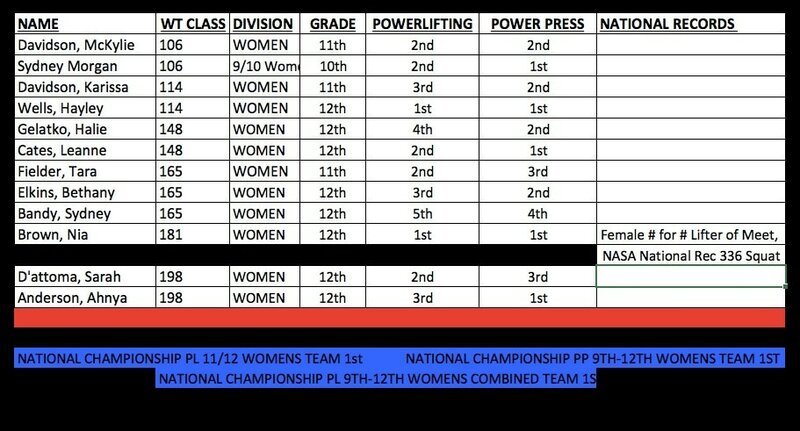 The girls led the way Saturday by winning both Power Press (inclusion of clean) and Powerlifting (inclusion of deadlift) Team National Championships! 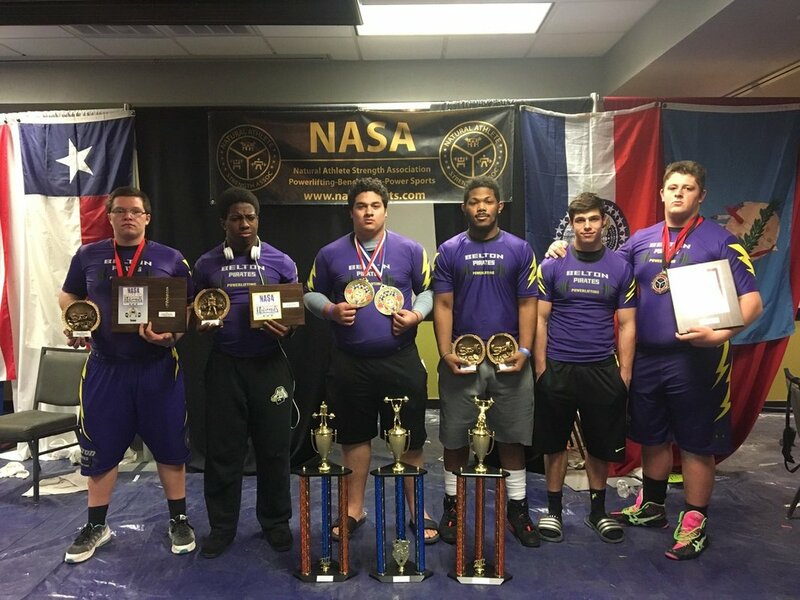 The men’s team sealed the deal on Sunday winning the combined Powerlifting and Power Press National Championships sweeping the team awards. , Two pirates broke all time NASA National Records, with Nia Brown winning female lifter of the meet championship belt.